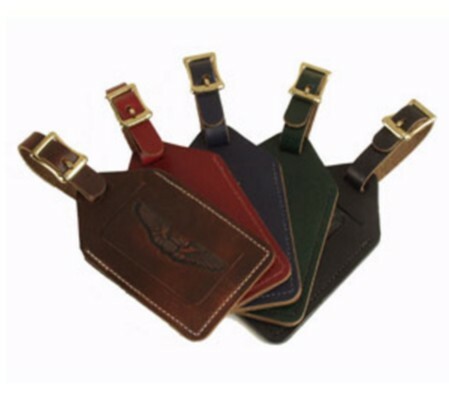 Give your bags a distinguished look with our Top Grain leather bag tag. Includes your logo debossed on the front and a security flap to place your personal information behind. Each quality bag tag is finished with a brass plated buckle.